A chemical peel is a technique used to improve and smooth the texture of the skin. Facial skin is mostly commonly treated, and the appearance of pigmentation and scarring may be improved. 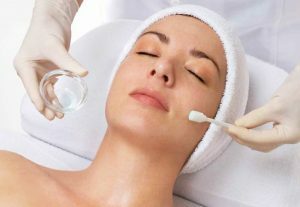 Chemical peels are intended to remove the outermost layers of the skin. The regenerated skin is smoother and less wrinkled. Also broadly referred to as ‘skin rejuvenation’ and ‘skin surfacing’, the procedure is especially effective in treating static wrinkles, expression lines, pigmentation blemishes like freckles or so-called sun spots, scars, vascular conditions like blood-filled blisters or a constant flush of facial redness, and loss of skin tone. BEST BODY SKIN offers superficial peels, more commonly known as ‘fruit acid peels’, ‘glycol peels’ and ‘dermal peels’. Brightens and smoothens the skin texture, evens out discolouration, reduces acne scarring as well as frown lines and wrinkles. A more forceful approach to achieve better results in severe cases. Have a look at one of our most popular peels below; the Dermaquest CInfusion peel. 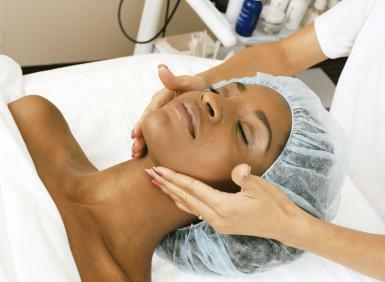 Watch one of our favourite clients, Linda Mpanbani make the best of a combination of LED Treatment and Chemical Peels. Complete the form below and take the first step toward improving your skin’s health and appearance today! One of our skilled consultants will be in touch to discuss the best course of treatment suited to your individual needs.